The first time I ever heard of Earth Day, I was in Pittsburgh on a work assignment. Since I was there for three months and staying at a hotel, I had plenty of time to visit all the tourist spots, the non-tourist spots, the festivals and the restaurants. It was actually a pretty happy-go-lucky three months, since I didn't have to worry about housework or yardwork ... or really any work, once I was home from actual work. I did some cooking, since I was staying in a place that had a kitchen, but I went out quite a bit because I wanted to explore and sample what the area had to offer. And there was always food at the festivals and art fairs and other celebrations I went to. That year, Pittsburgh celebrated Earth Day with a festival at one of its prominent parks, and I spent a good part of the day there, just soaking in the ... earthiness. Since then, Earth Day hasn't been big on my "must celebrate" list, unless someone reminds me. 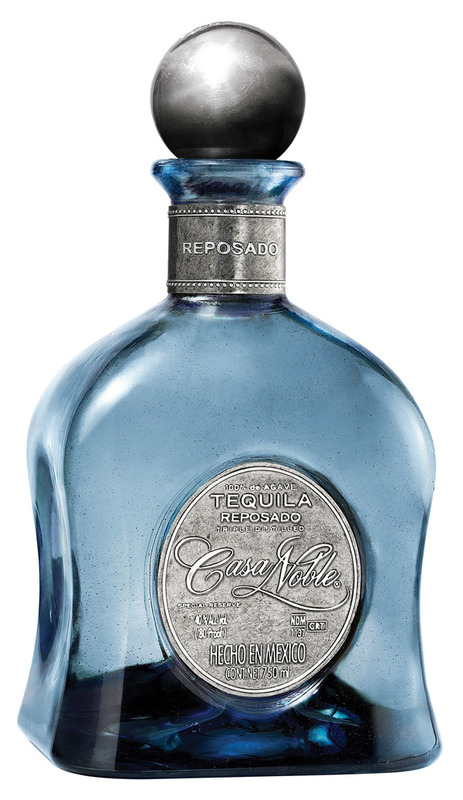 So when the folks at Casa Noble tequila asked if I wanted to sample one of their organic tequilas for Earth Day, I had nothing else on the calendar. And I'm always up for cocktails. I wrote about Casa Noble once before, so I knew I was going to like the product. My first thought was a margarita, but I didn't want to go with the typical lime-based cocktail. I happened to be cutting up a pineapple and thought, gee, why not use pineapple juice? I gathered up some pineapple scraps - not the tough rind, but the bits of mostly-fleshy-parts that got removed when I was cutting out the pineapple "eyes." And the core, too. I threw all that into my juicer and ended up with enough pineapple juice for a few cocktails. And a pretty nice-sized glass for breakfast, too. Good enough for me. Combine the tequila and pineapple juice in a shaker with ice. Shake-shake-shake ... shake-shake-shake. Strain into a margarita glass over ice and garnish with blood orange. For color, I added blood orange to the margarita, but you could use any citrus you happen to like - a regular orange would be good. Or tangerine or clementine or grapefruit, even. Or go traditional and use a lime. You can just rest the fruit on the rim of the glass, or squeeze some of it into the cocktail, like I did here to add some of the juice color to the cocktail. A few chunks of pineapple speared onto a skewer would have made a great garnish, but somehow I didn't think of that until too late. Oops. And of course, if you're a fan of a salt rim, go for it. I usually don't. But that ain't all. The folks at Casa Noble offered this recipe, which is more traditional. And little more potent than the ones I mixed. Their recipe uses the Crystal (clear white) tequila. Combine all ingredients in a shaker with ice, shake, strain, serve up or on the rocks. Garnish with a lime wheel. To salt rim- moisten rim of glass with lime, gently roll in a plate of kosher salt. The tequila I chose came in a pretty blue bottle, but it's a bit hard to see the color with the tequila in it, like in my photo below. But I have a feeling I'll be using the bottle for other things once it's empty. Along with my tasty bottle of tequila, Casa Noble supplied some extra information about their products. The Reposado (which is the one I chose) is aged in French white oak barrels for exactly 364 days. I'm sure there's a reason for that. precise timing, but I have no idea what it is. They described it as smooth, sensuous and full-bodied; light amber in color with hues of bright copper. They're serious about their tequila, hmmm? They say the tequila has aromas of soft vanilla, delicate white oak, and light but persistent lemongrass and floral citrus notes. Sounds like a fine wine. And then we come to flavor. "The lightly charred French White Oak gives this tequila notes of vanilla, chocolate and butter in addition to the citrus and sweet agave. The intensely sweet taste is introduced with oaky tones followed by a long finish with hints of caramel and candied nuts shadowed by a subtle spice." Well, I'm not sure I tasted all of that, but it's a pretty smooth tequila. and quite tasty. This is one you could serve over ice and sip, if you wanted to. I'm going to have to go back and do a heck of a lot more sampling, just to see if I can detect all those flavors. Tough job, but someone's got to do it. If you want more information, you can hunt them down on Facebook. They're also on Twitter as @casa_noble and on Instagram as casanoble. I was provided with a bottle of tequila in order to create my recipe.